I have put my form on FB page (on both fan and non fan page) but when a user opens, it flashes a caution. If I click on NO, then it shows the form otherwise not. And when the form appeared sometimes it is partly visible other protion is invisible. Your form uses https or SSL connection, but the image you have inserted cannot be served using SSL. That is the reason why you are getting this warning when viewing the form under Internet Explorer. Just so you know, free accounts only have 20 SSL submits per month, and once this limit has been reached, all forms will be disabled and unavailable for use. With that in mind, I suggest that you replace https with http in your form's embed codes. Let us know how it goes from here on out. Thank you for using JotForm! I replaced https with http but still there is a same issue when I open that form with internet explorer. There is no issue with Firefox and Chrome .... Any other possibility for this issue ? 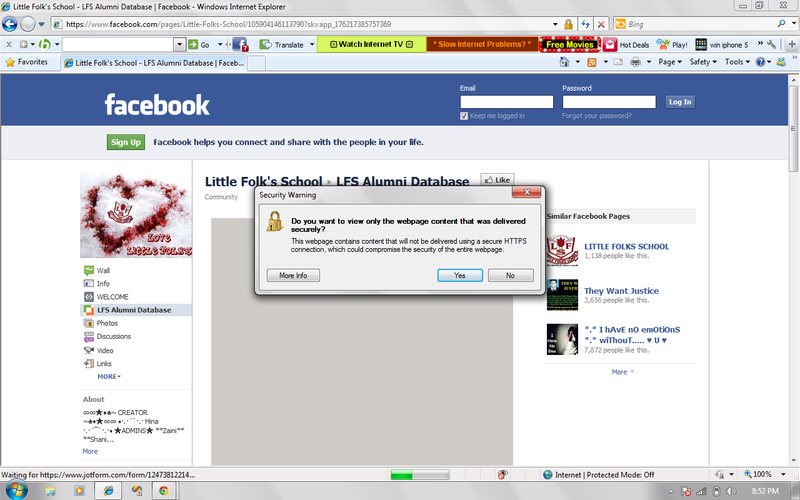 I viewed your Facebook embedded form under IE 8 but it did not display the same (or any) message at all. 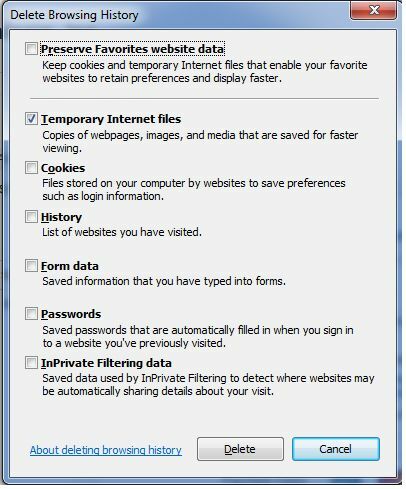 Have you tried clearing your Internet Explorer's browser cache or temporary internet files? To reset cache, press Shift-Ctrl-Delete keys in your keyboard, make sure that "Temporary Internet Files" is checked then click the Delete button. After clearing your browser's cache, restart your browser. If it still does not make any difference, try restarting your computer. Hopefully, these solutions will work for you. Let us know how it goes from here on out. Thanks!